As Christians—United Methodists—we are called to “make disciples of Jesus Christ for the transformation of the world.” It’s a grand mission—so grand, in fact, that it’s sometimes hard to know what we’re supposed to do. How can we help transform the world? Make a Difference draws upon biblical wisdom to provide practical guidance to help disciples connect their passion with the world’s great need. 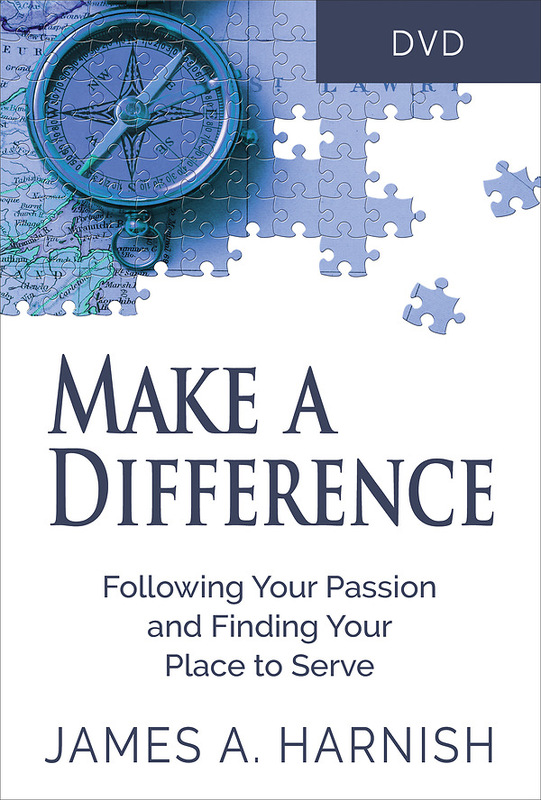 Real stories of how real people found their place to serve will inspire and encourage you to do the same. A book, Leader Guide, and DVD are available for this six-week study. The DVD features six engaging and lively discussions with author Jim Harnish and several special guests including Nick Cunningham, Lindsey Krinks, DJ del Rosario, and Lisa Yebuah. The video study highlights opportunities and outcomes of making a difference in this world. Video segments are approximately 10–12 minutes each and when combined with the six book chapters, make an ideal six-week group study. All videos sessions are closed captioned. 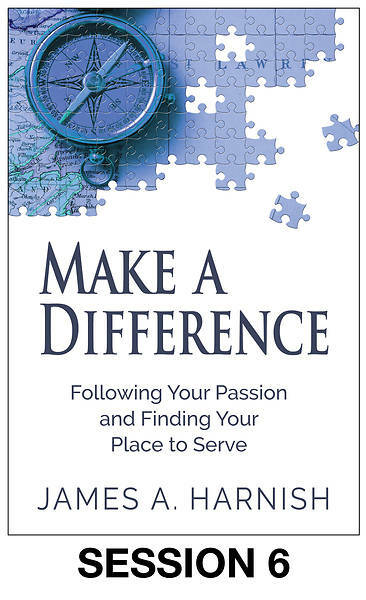 In Make a Difference, author James A. Harnish helps United Methodists answer the questions “How can I contribute to God’s healing work in this world?” and “How can I find my place to serve and make a difference?” Drawing upon biblical wisdom and real stories of real people who have found their place to serve, he provides practical guidance to help every disciple make a difference as a participant in God’s transformation of the world. The DVD features six engaging and lively discussions with author Jim Harnish and several special guests highlighting opportunities and outcomes of making a difference in this world. The video segments are approximately 10-12 minutes each and when combined with the six book chapters, make an ideal six-week group study. All videos sessions are closed captioned.